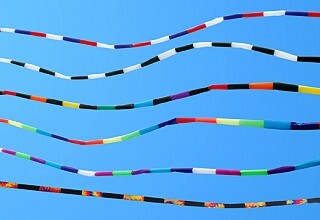 We have lots of tail options which compliment many of the kites we carry. Whether you're looking for tails for stability or adding visual effect, there is sure to be something that will work on this page. See the selection below. 24ft. x 4in. diameter Nylon. 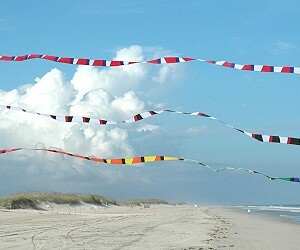 Attaches to line or kite. 24ft. x 6in. Nylon. 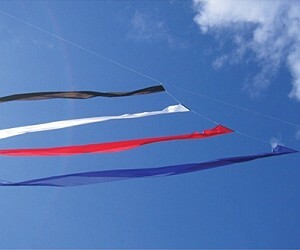 Attaches to line or kite. 50ft. x 3.5in. diameter Nylon. 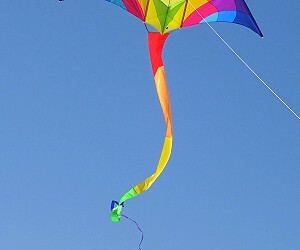 Attaches to line or kite. 25ft, 50ft & 100ft long. Hemmed Rip-Stop Nylon multi-segment Tail. Very striking. 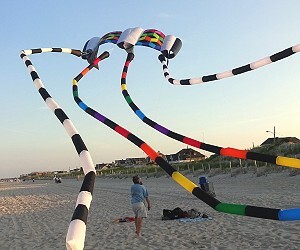 75ft. x 2.5in. diameter Nylon. 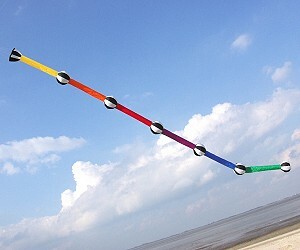 Attaches to kite or line. 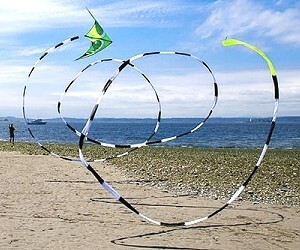 Great for Stunt Kites. 33ft. x 15in. diameter balls. Nylon fabric sculptured tube sock. 32ft. x 11in. Nylon. 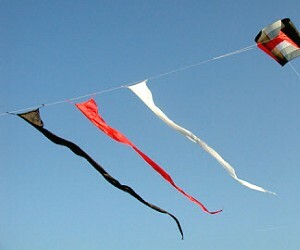 2 point attachment to flying line or kite. 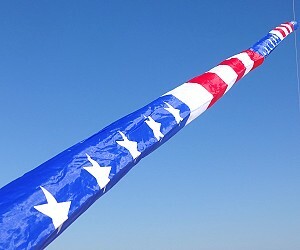 75ft. x 28in. Nylon. 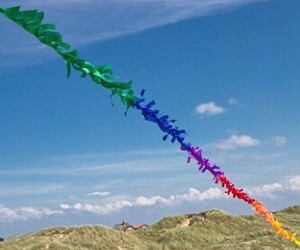 2 point attachment to flying line or kite. 25ft. x 14in. Nylon. 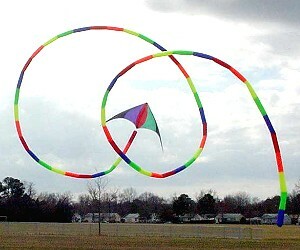 2 point attachment to flying line or kite. Red not available.